River system. Even then, they may be selling themselves a little short. Bonneville Lock, 40 miles East of Portland, Oregon. From there, a 14-foot channel goes to Lewiston, elevation about 700 feet. A typical barge on the system is 42’ wide and 274’ long. Usually, towboats handle as many as four in a given trip, and containers are a frequent cargo for these journeys. 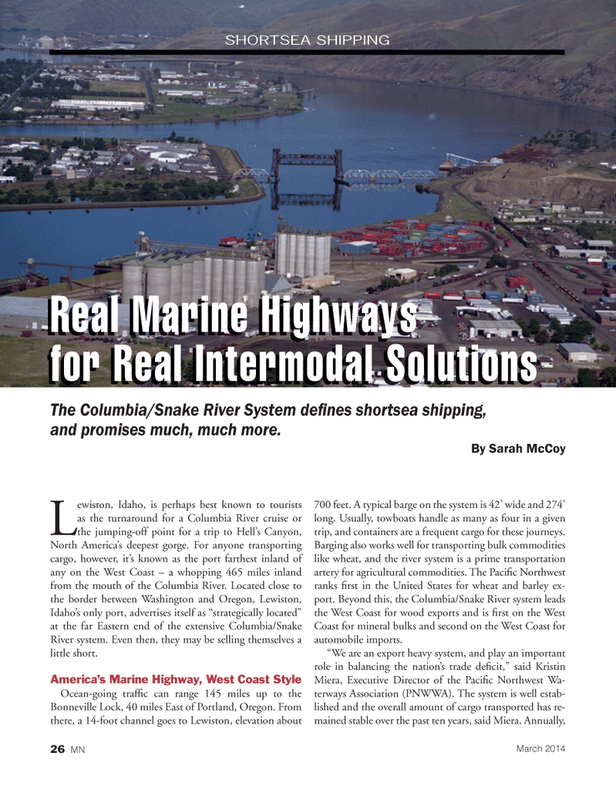 The Columbia/Snake River System defi nes shortsea shipping, and promises much, much more.